Samuel Adams was born in Boston, Massachusetts on September 27, 1722. Samuel was raised by his Puritan father, Samuel Adams senior, and his mother Mary. His father was a prosperous merchant, and he was very involved in Boston politics. After a short period of time the senior Adams became a justice of the peace, and shortly afterward was elected into the Massachusetts House of Representatives. 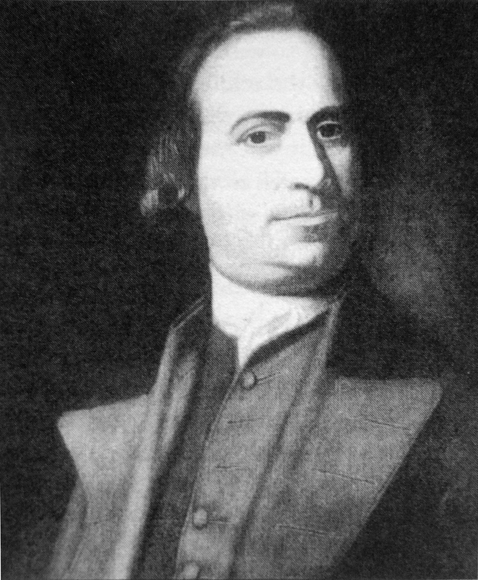 The younger Samuel Adams attended Boston Latin School, before entering Harvard College at the age of 14. His parents had hoped that he would pursue a career as a minister, but instead he became obsessed with politics. After graduating from Harvard at age 18 Samuel went to work in his family beer making business. In 1765, the junior Samuel Adams was elected into the Massachusetts legislature where he served until 1774. During this time Samuel organized a “Committee of Correspondence System” that linked like-minded Patriots throughout the Thirteen Colonies. At the same time he organized a secret organization called the “Sons of Liberty.” Adams was bitterly opposed to the British Parliament’s attempt to tax the colonists without their consent or representation. Before long, Adams became a resistance leader. He organized boycotts and demonstrations against King George III and his taxation policies. Samuel Adams soon became very skilled at unleashing propaganda against the British. By 1772, Americans were spending about 6 million dollars a year of British imports. A lot of this money was spent on British tea. Boston was now importing over 260,000 pounds of tea. That year, John Hancock, who was one of Samuel Adam's biggest supporters, paid taxes on 45,000 pounds. It didn't take long before everyone was smuggling tea from both Holland and the Danish West Indies to avoid the tax. At the same time, the East India Company was largely in ruin as they owed the British government over 2 million dollars. Much of the money owed was the result of the18 million pounds of tea that was laying around in warehouses, unwanted and unneeded. The British came up with an idea, parliament passed the Tea Act of 1773 that gave the East India Company exclusive rights to distribute tea in the Thirteen Colonies. Making things even better they repealed the duty/tax that the company paid to import tea into England, so they could sell it cheaper than anyone else. Soon, ships loaded for tea began heading for American ports. Almost a month later, three ships sailed for the Boston Harbor, but this time Samuel Adams and his Sons of Liberty were waiting for them. On Thursday, December 16, more than 5,000 Bostonians met with one of the ships captains and asked him to return the tea to England, but the naval officer in charge of the port refused to let him sail. Soon after dark, Samuel Adam's and dozens of men dressed like Mohawk Indians before heading towards the Boston Harbor followed by a huge crowd. Simultaneously they raced up Griffin's Wharf and boarded the 3 ships. In 3 hours they destroyed 342 chests of tea, throwing it all overboard. The British would respond with a series of sanctions, called the Coercive Acts, and before long both sides would be engaged in war. Samuel Adams served in both the First and Second Continental Congress (1774-1781). He also signed the Declaration of Independence. Samuel's second cousin John Adams led the Second Continental Congress and was eventually elected president. Samuel Adam's would later serve as governor of Massachusetts from 1794 to 1797.